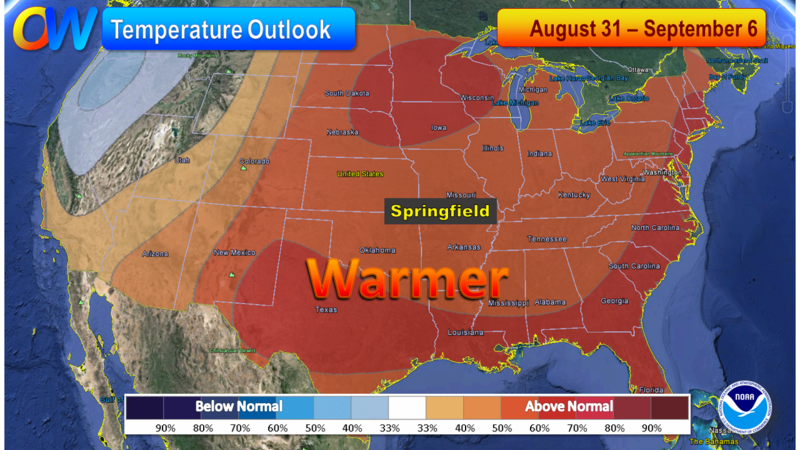 It’s been a cool August but if you’re a fan of summer weather, this is a forecast you will like! Today, the thermometer should reach into the upper eighties. 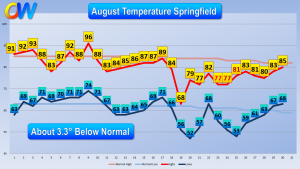 By doing so, it would be the first above normal high temperature in Springfield since the 17th, a run of almost two weeks. This pattern is locked in. The jet stream is favoring high pressure aloft which nearly always puts the folks below in an above average temperature pattern. 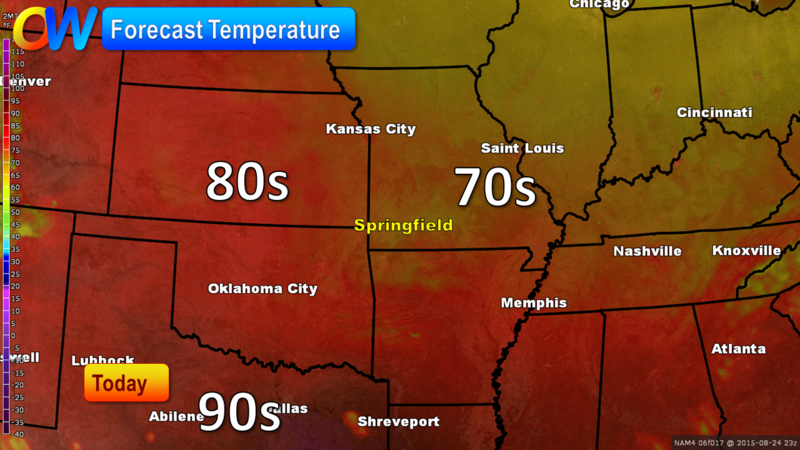 The Ozarks will cruise through this week with high temperatures right around ninety-degrees. 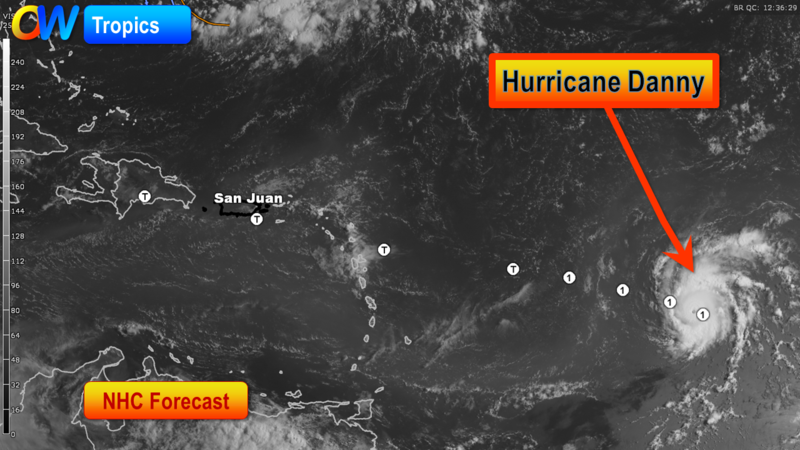 There are no significant rain chances in the forecast presently. A few showers and even a thunderstorm will be possible late today and Saturday as a weak cool front tries to move through the Ozarks. 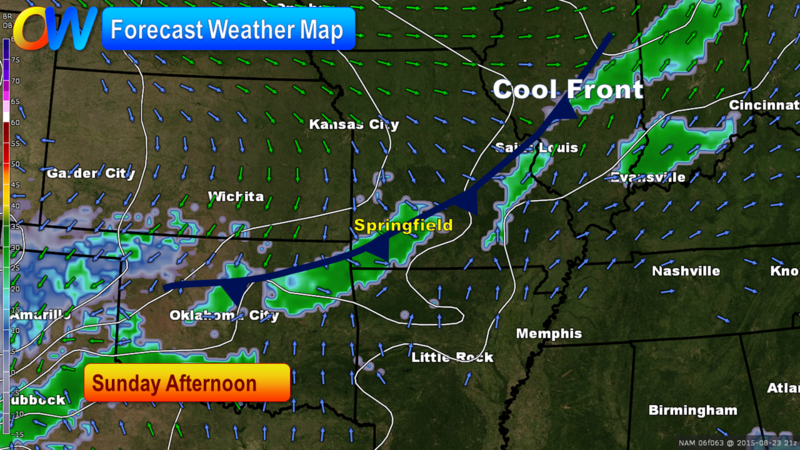 Because of the shifting jet stream winds, this cool front will fade as it moves into the Ozarks this weekend. 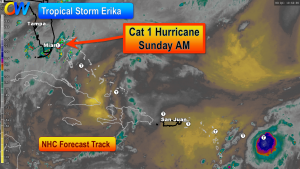 It does carry with it a chance for showers and a few thunderstorms. 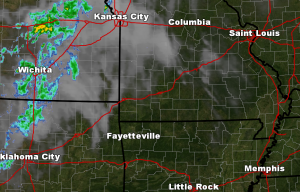 Today, showers out in Kansas will slowly advance toward the area. 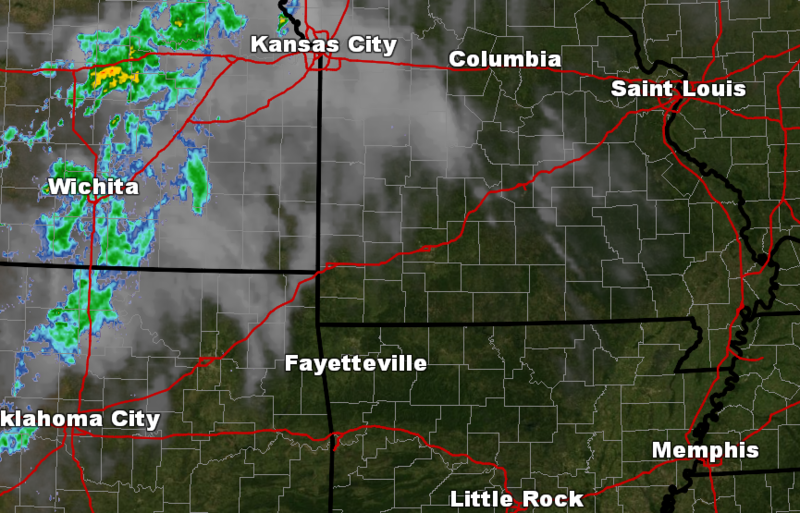 Rain chances go up a bit in the Ozarks this evening as a result. 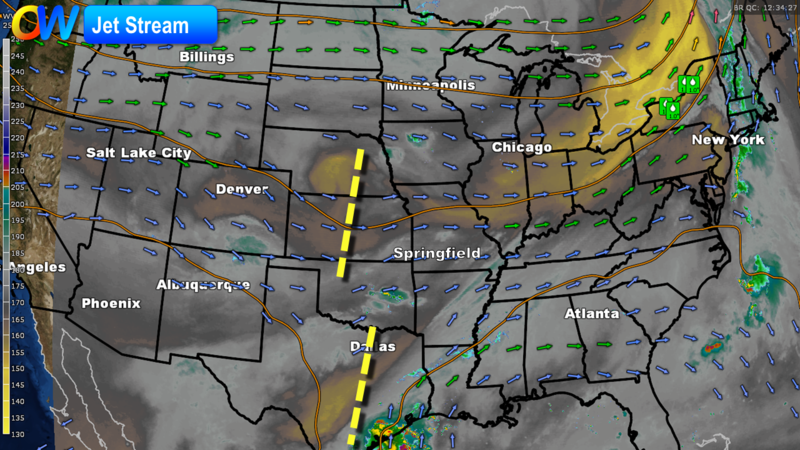 On Saturday, the same front will be closer to our area and more scattered showers and storms will be possible. 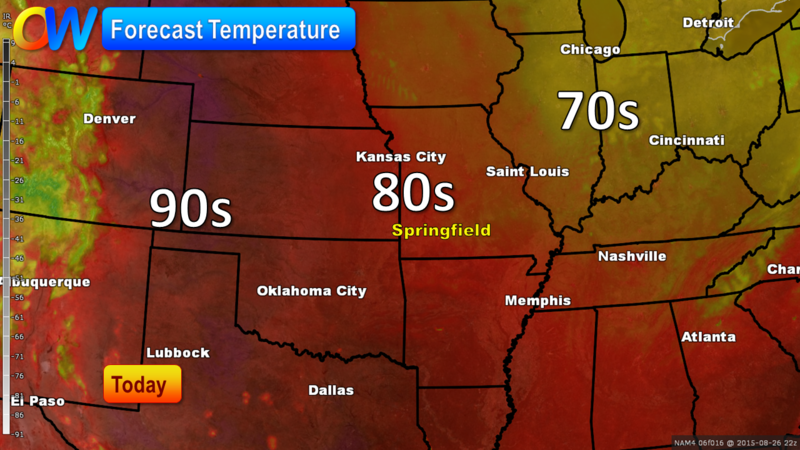 Temperatures will level out in the middle eighties this weekend with the front, some clouds and the showers around. 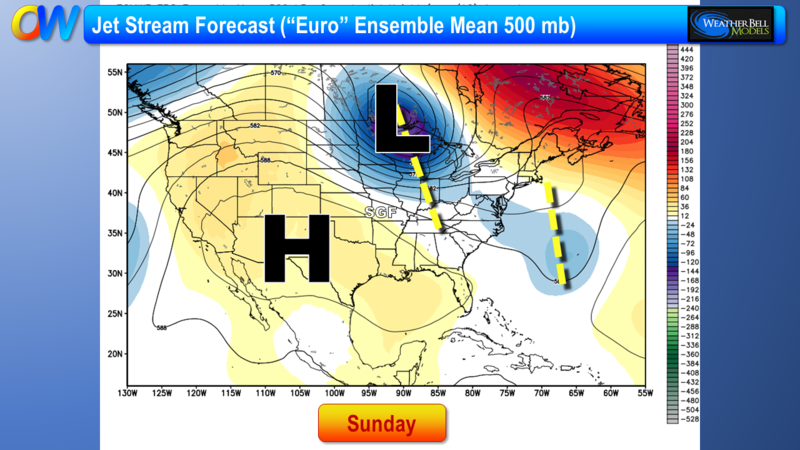 Once we get into next week, more of a summer pattern will lock into the central U.S. I expect our highs back into the upper eighties with a ninety degree high a possibility. 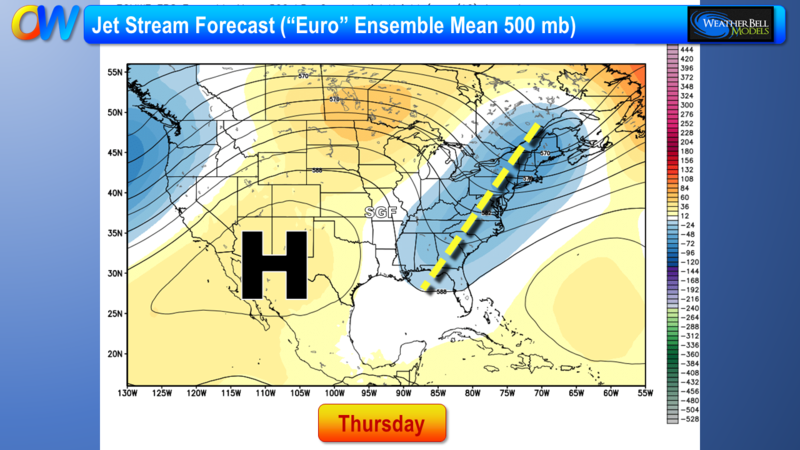 Our cooler-than-normal temperature pattern will change over the next week but very slowly! 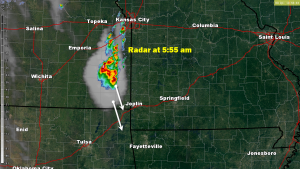 This morning, a batch of showers with some thunder is located in eastern Kansas. 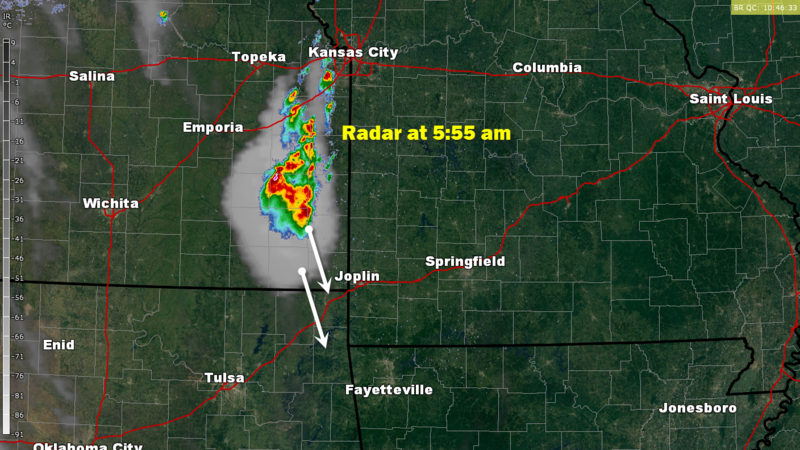 This rain is sliding almost due south and might affect the Joplin area through the morning hours. 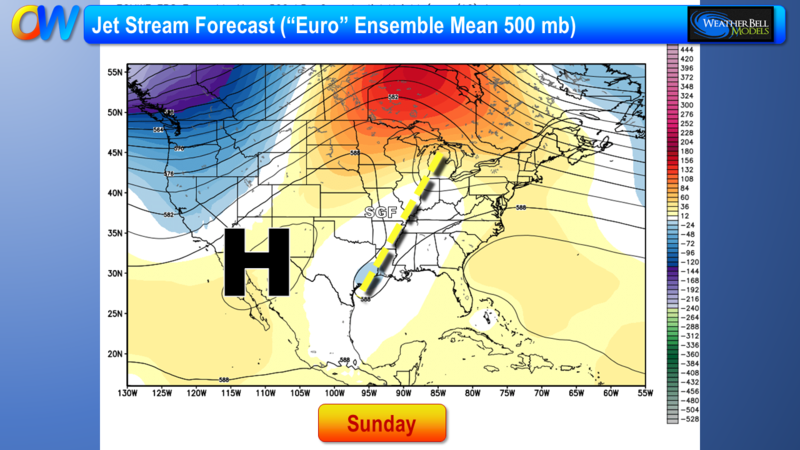 Otherwise, we continue on track with nice temperatures and low humidity in the Ozarks through early next week. Another small area of showers my arrive Friday evening and night. Our weekend looks dry and comfortable and a tad warmer with daily highs climbing into the upper eighties. 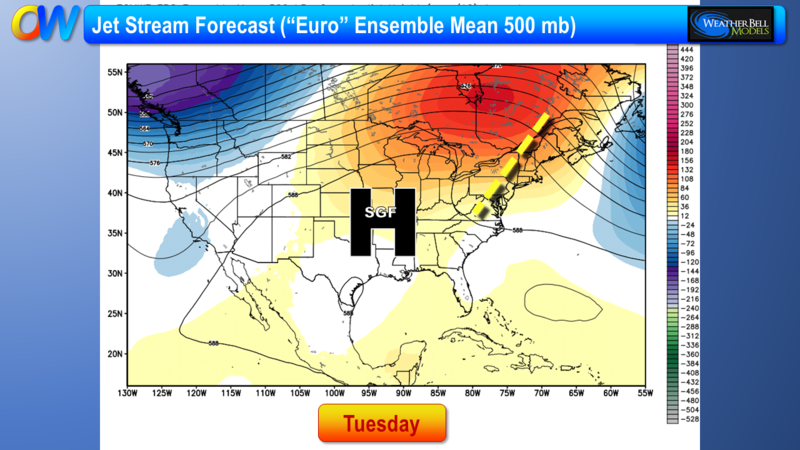 Next week looks more summer-like (in September, go figure!) with high pushing near ninety. 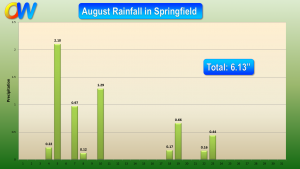 Our Cool August is Chugging Right Along! 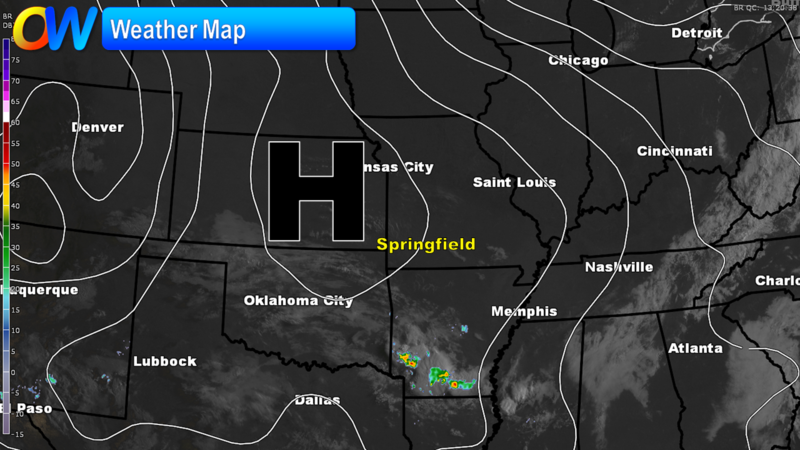 Today will be another cool and sunny day in the Ozarks! 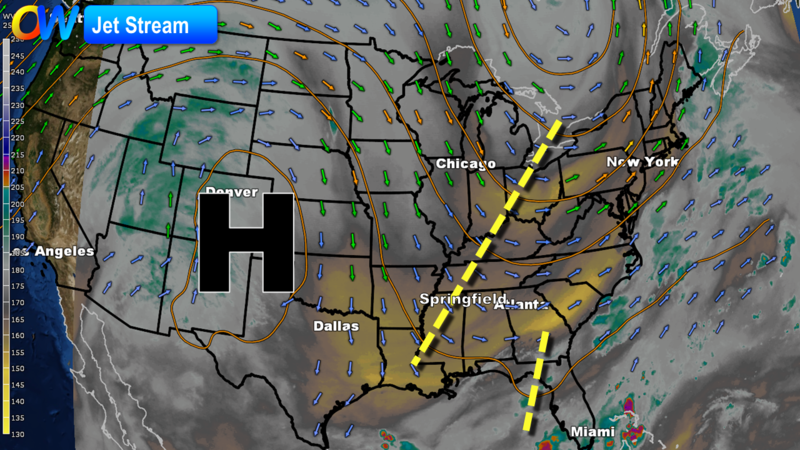 The area of high pressure which starting pressing in Sunday night is now overhead. Skies are clear and sunny with this feature. 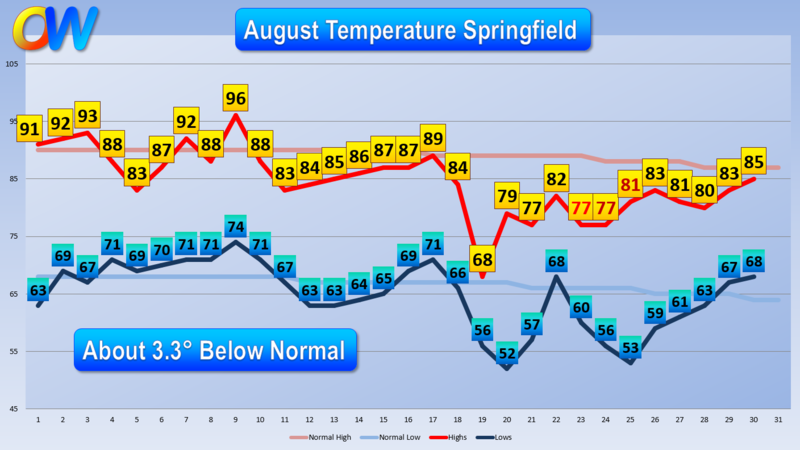 This type of weather is a real treat for August and we’ve had more days then not with a temperature pattern south of what is average for August. There are a few signs of showers or perhaps a rumble of thunder Friday night as a weak disturbance whips on through the Ozarks. 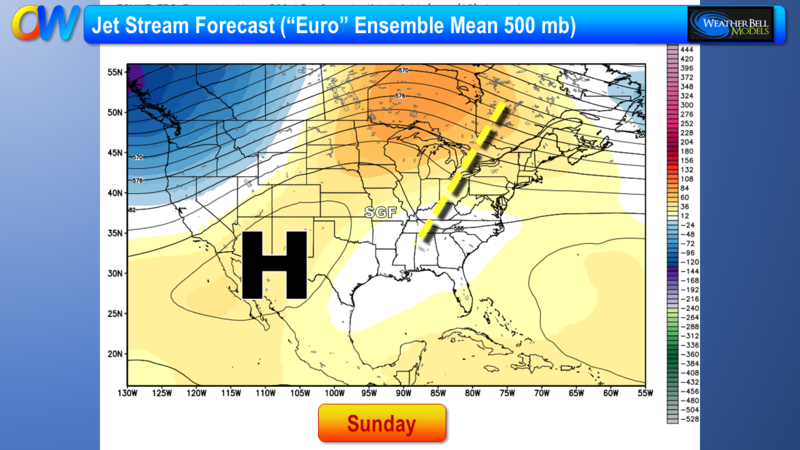 I think the weekend will be dry and about right on temperatures for the closing days of August. 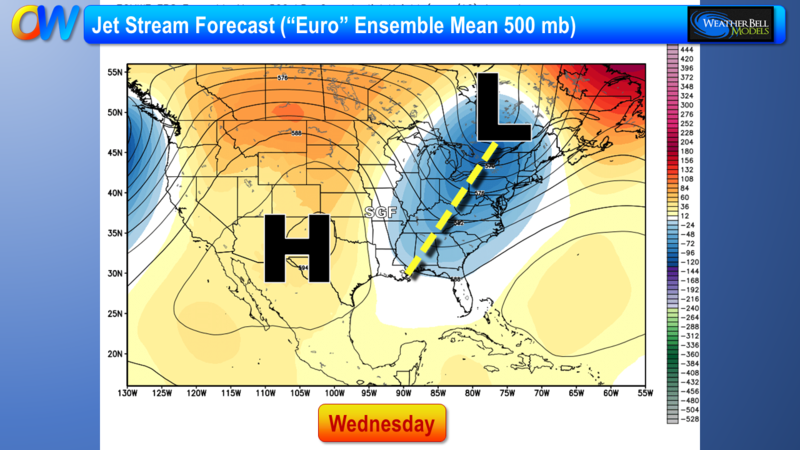 All of next week, the jet stream pattern changes to encourage near normal temperatures. 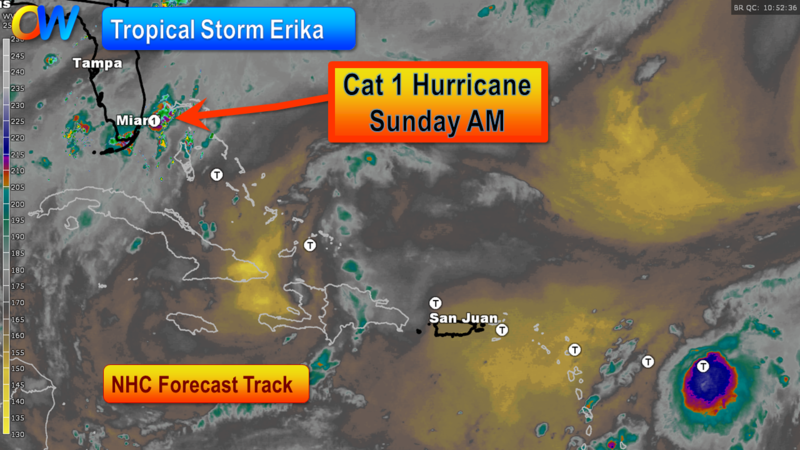 Tropical Storm Erika is on course to be in the Bahamas by Saturday night in very warm waters and a decent environment for development. The National Hurricane Center strengthens Erika to minimal hurricane status by early Sunday near Miami! 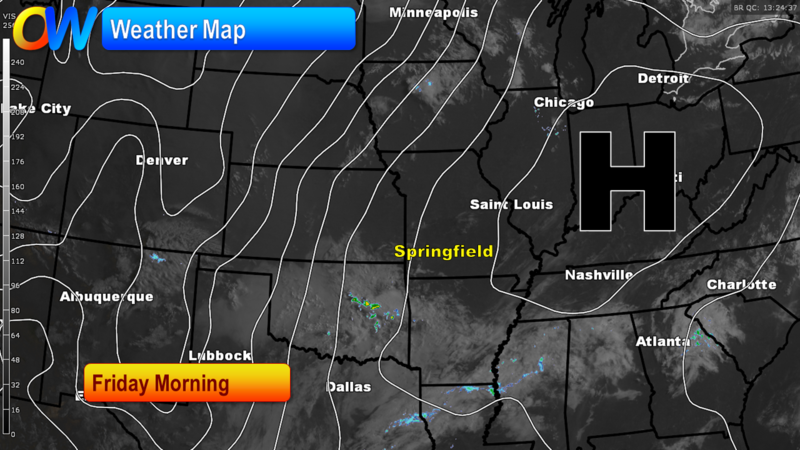 Chilly air is in the Ozarks this morning as temperatures fall into the lower fifties with clear skies and light winds. 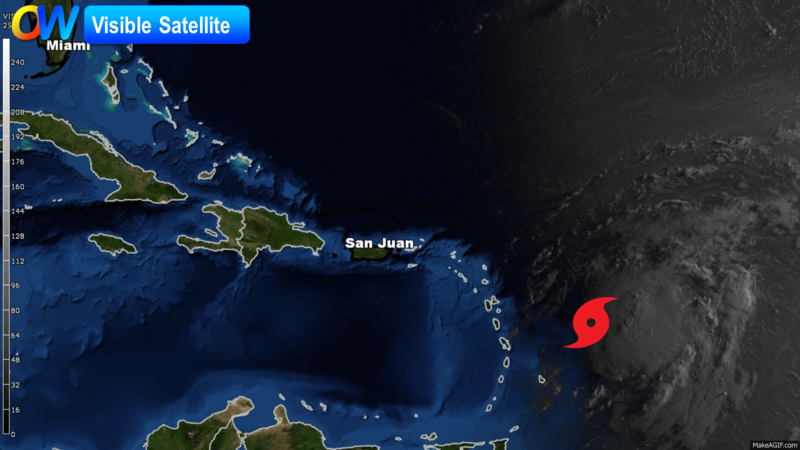 This type of weather is brought to us by a sprawling area of high pressure drifting over the central U.S. It’s effect will be long-lasting with cooler than average conditions lasting through the rest of the week. 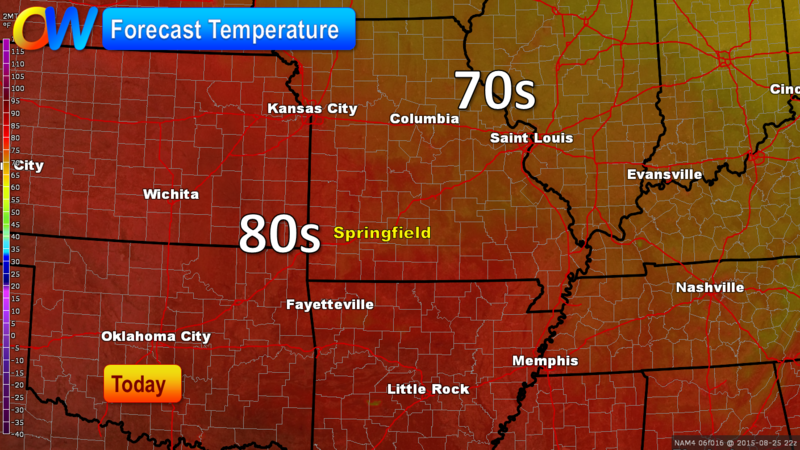 High temperatures this week will top out in the lower eighties. Morning lows will be in the fifties. 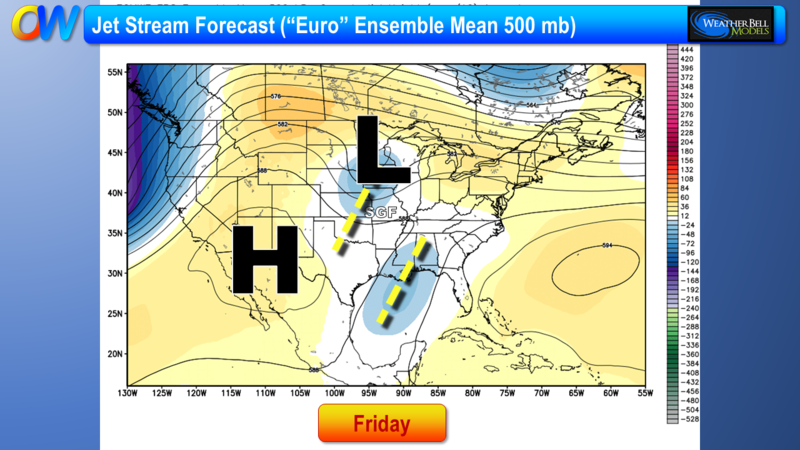 Another cool front may spark some showers and some thunderstorms by late Friday and on Saturday. 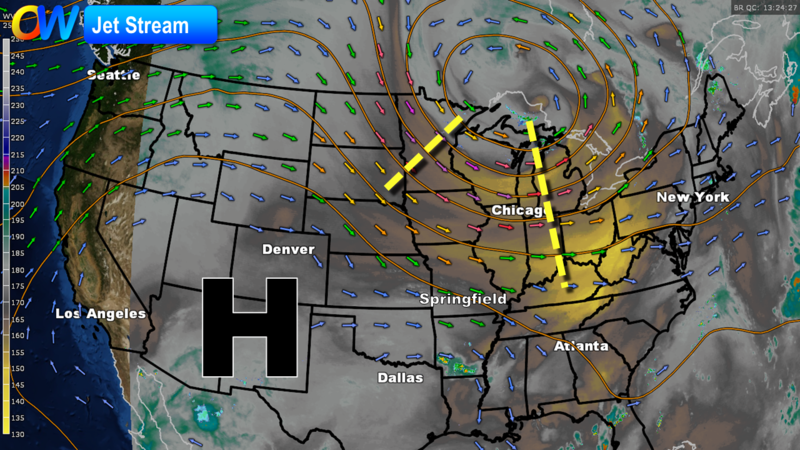 The upper-level winds look like they will change by next week to favor warmer weather. 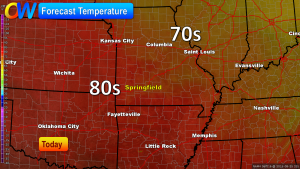 For late August, this means highs in the upper eighties. 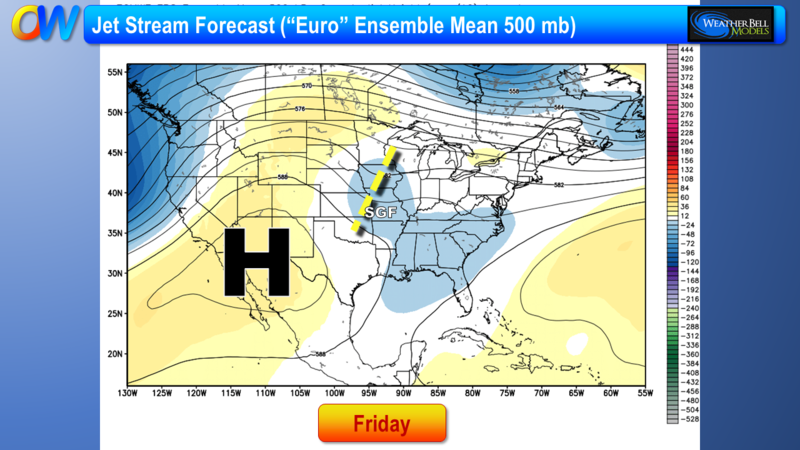 Another area of cool high pressure will keep temperatures cooler than one would expect for late August. 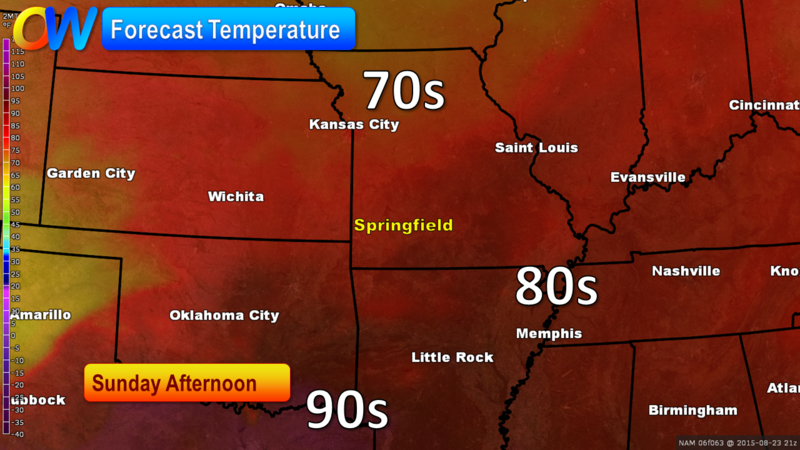 This latest in a series of highs is dropping into Kansas today and will drift over the Ozarks over the next few days. 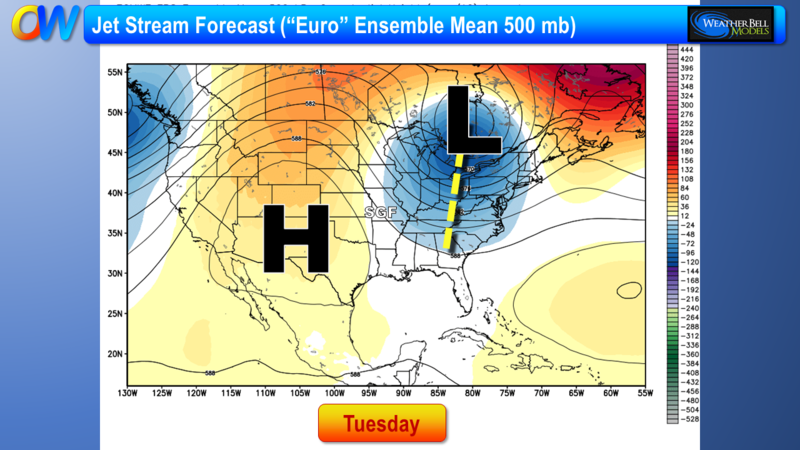 Lows dropping into the fifties will be commonplace this week. 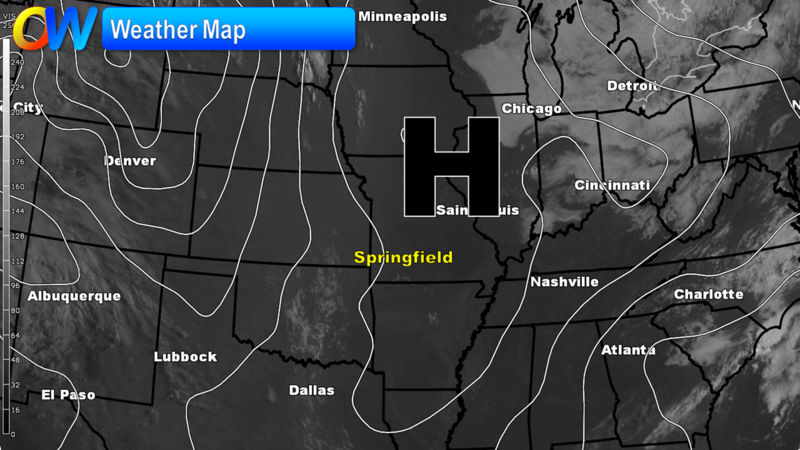 The high today will stay in the upper seventies. As for the rest of the week, daily highs in the lower eighties. 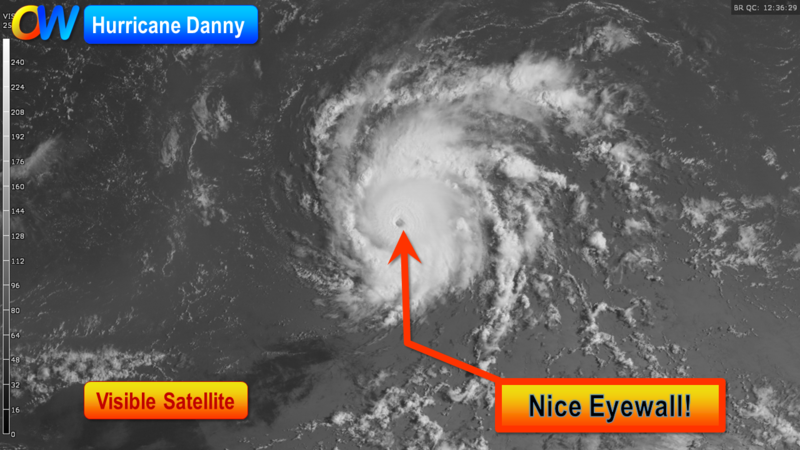 It’s a dry weather pattern but we’re good on rain thanks to the weekend storms. Springfield’s rain total for August is 6.13″, way ahead of the average curve!